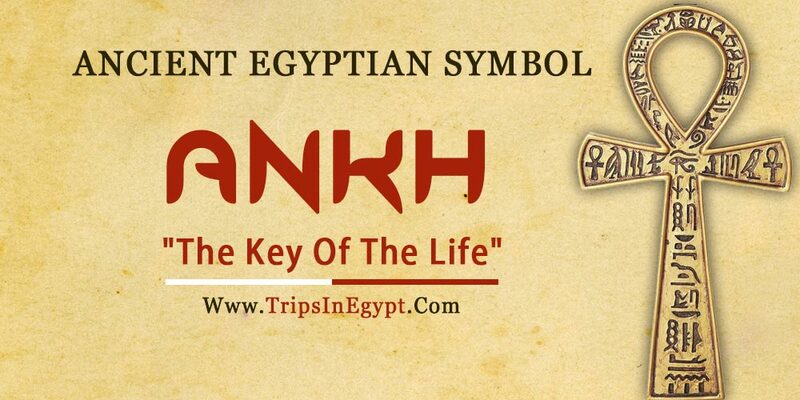 The ankh symbol represents life, the heavens, immortality and the union between men and women. It is known as “the key of the Nile” as the union between Osiris and Isis was believed to flood the Nile and bring fertility to Egypt. it is quite famous for being a symbol for clairvoyance and the purifying and life-giving power of water that’s why it was believed to be the key to eternity and the Key to the underworld. The ankh was associated with the cult of Isis. 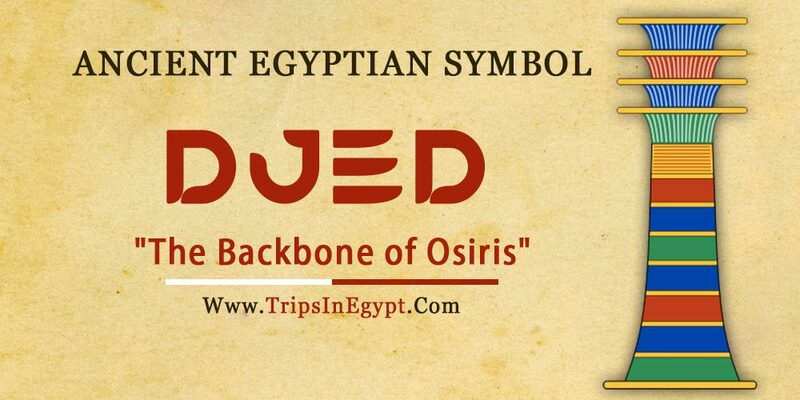 The Djed pillar is known to be “the backbone of Osiris” and was linked to the ideas of resurrection and eternal life and a symbol of strength and stability in ancient Egyptian culture. it was first known as the symbol of Ptah the god of Creation before being adopted by Osiris king of the underworld. The symbol also represents the combination of the four pillars that held the four corners of the earth. The symbol was used as a fertility pole during festivals to highlight the balance between life and hope in the afterlife. It was often found at the coffin where the backbone of the deceased would lay so his soul can cross to the other side. The symbol would become more powerful when combined with the was a scepter. 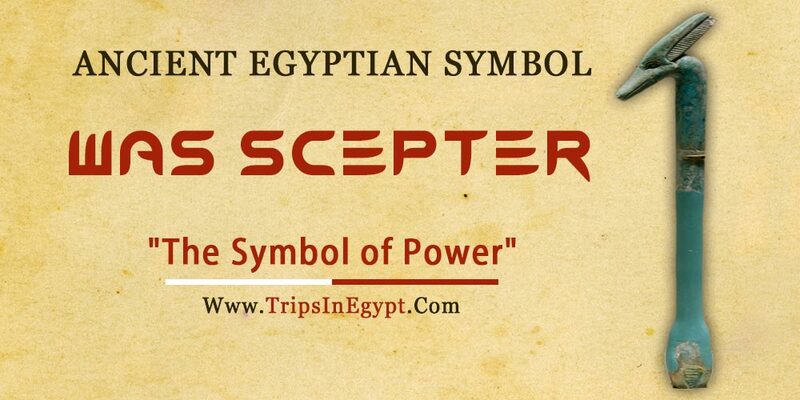 Was scepter was a symbol of power in ancient Egypt and represented the dominion of the divine power of the gods on earth. It has a shape of staff with the head of the canine and the symbol was featured with many gods like Anubis, Isis, Ra, Hathor and Pthah who combined it with the Anka and Djed and called it the sculptor of the earth which symbolizes the definition of the words like totality and completeness. 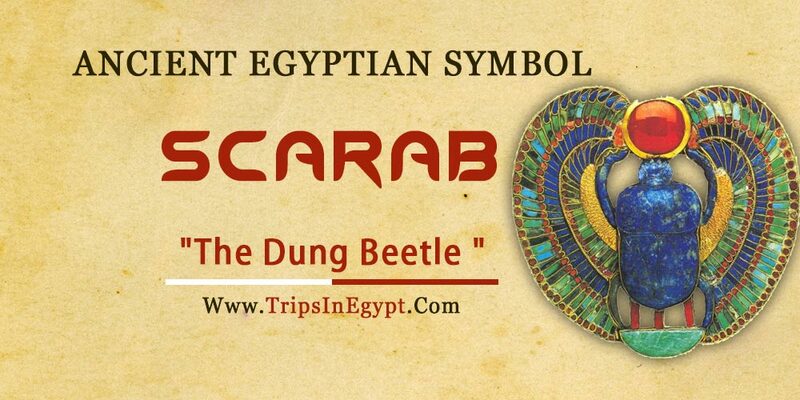 One of the most important and popular symbols in ancient Egyptian culture is the Scarab a.k.a the dung beetle became a true representation of the sun, recreation of life, transformation and resurrection because The symbol came to life as a means of reflecting as when the beetle rolled its dung into a ball and laid its eggs in it to act as food for the young when they hatch. The scarab continued to be relevant within culture until the rise of Christianity in Egypt. 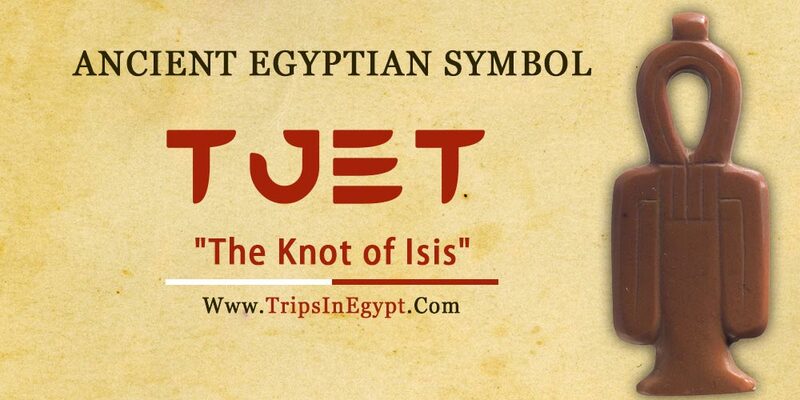 The Knot of Isis of, the blood of Isis is known as Tiet or Tyet but mainly known as Tjet. It looks very similar to an Anka with the exception of its arms curved down. It is used as a funerary amulet made of red stone or glass and was associated with many female goddesses but mainly Isis. It symbolizes many ideas like eternal life and resurrection. It was used with the ankh and the Djed pillar of Osiris to reflect on the dual nature of life. The left eye of Horus which he gave it away to save his father Osiris, so the eye of Horus became a symbol of healing, protection, and royal power plus a symbol of the moon. The eye of Horus had magical healing powers the eye itself was even worshiped as the goddess of her own under the name Wadjet. 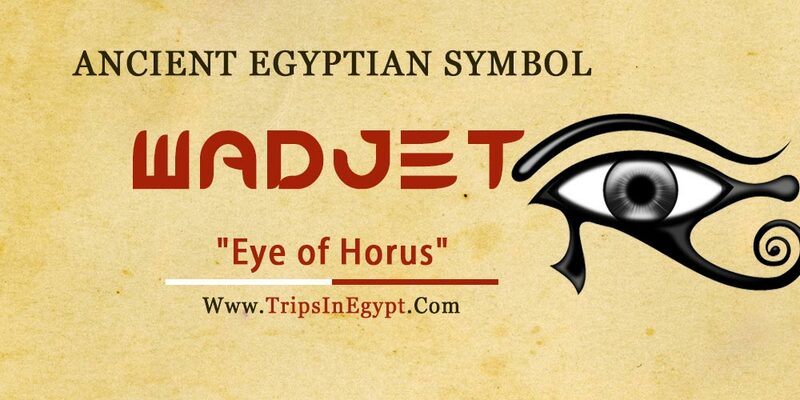 The eye was also known as a symbol of sacrifice as Horus gave his eye to resurrect his father, as for the right eye of Horus it became as the eye of Ra which represents the watchful presence of the Ra over his creation. The crook and the flail are considered to be symbols of the state’s power and the king’s absolute legitimacy, dominance, and control over his subjects. 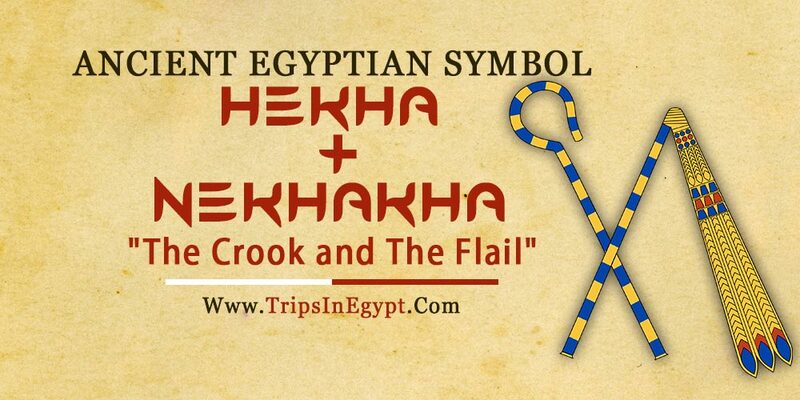 The word Hekha means to rule and is also an epithet of Osiris. 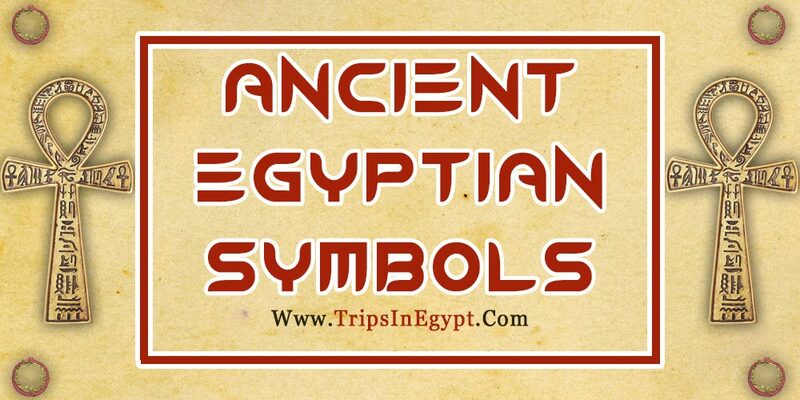 The symbol was in the hands of every king and queen who ever ruled Egypt. The crook was an old tool used by shepherds while the fail was used for herding goats and harvesting. They acted a reminder of the past and the importance of tradition. 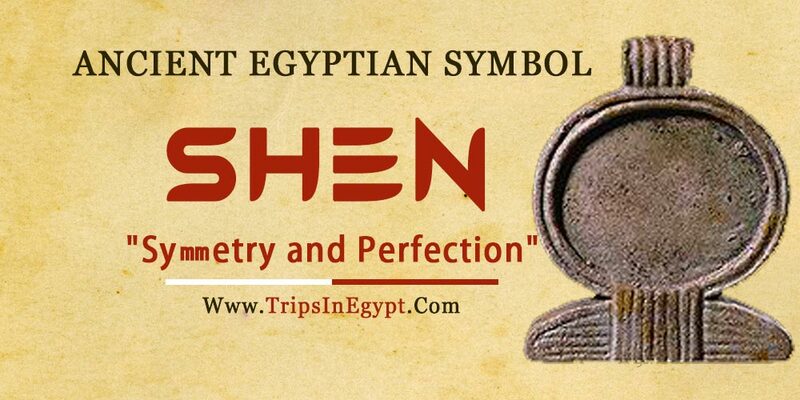 The word Shen means encircle in ancient Egyptian, it is a circle of rope which has no beginning or an end that symbolizes completeness, infinity, and protection. The symbol was highly famous and popular among because it symbolized symmetry and perfection. It came in the shape of an amulet and was worn by everyone including kings. Also, many deities were shown to be wearing the Shen such as Horus and Isis. The lotus flower a.k.a Water’s lily is quite popular within Egyptian mythology and art. It would close at night sink underwater and wakes up in the morning. It became associated with the sun and the ideas of creation and regeneration. The lotus was used as funeral imagery and was quite popular with the cult of Osiris. 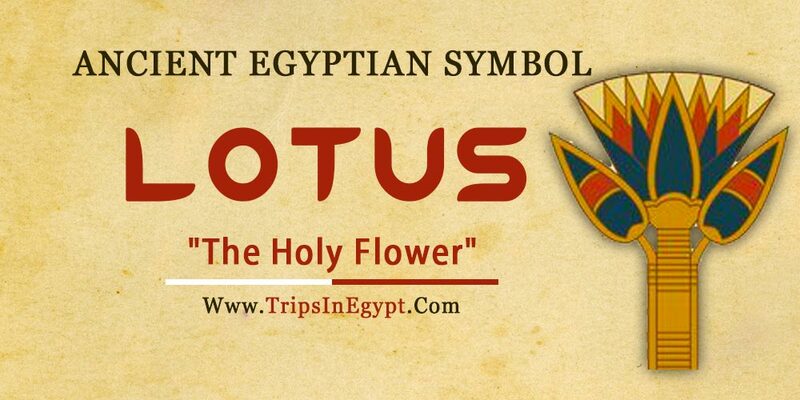 it was viewed as a holy flower as it grows all over Egypt and drawn on the pillars of the biggest temples of Egypt. 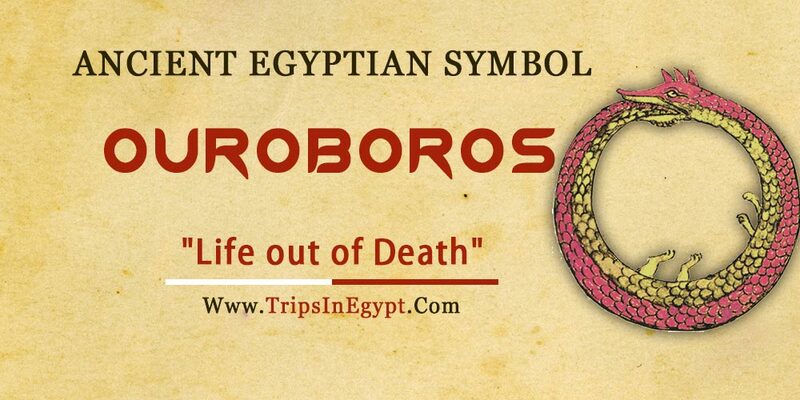 One of the most famous symbols in the world the ouroboros happens to be Egyptian. It is a serpent biting its own tale based on the phenomenon that occurs in the wild. The symbol represents the sun and reflects ideas like the rebirth, perpetuity, recreation, and infinity. It became known to represent the cyclic Nature of the Universe, creation out of destruction, Life out of Death. Finally, check our Egypt tour packages and explore the ancient temples & tombs of Pharaohs whose some of the secrets are still mysterious, plus enjoy magical Nile cruise holidays which enable you to witness the best of Egypt with your eyes.